For months now, the buzz behind horror film Hereditary has steadily been building. Since its festival run, critics have raved about Ari Aster's directorial debut. Rolling Stone called it "the scariest movie of 2018." According to The Huffington Post, Aster himself describes the film as "Rosemary's Baby meets Ordinary People." Whichever way you look at it, one thing's for certain: Hereditary is here to scare you. 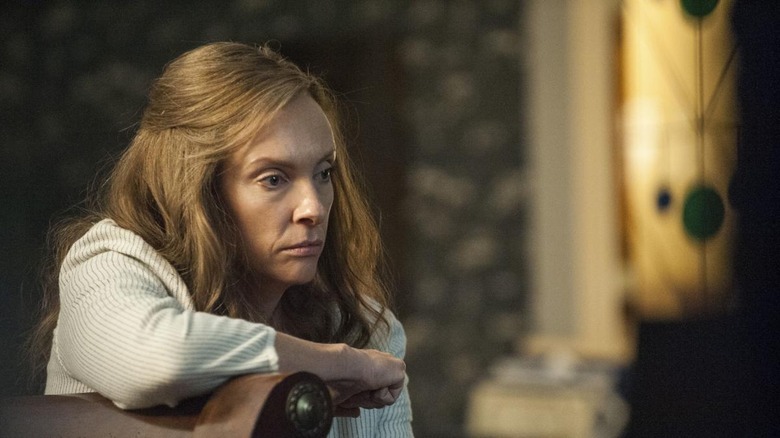 Starring Toni Collette — in what The Boston Herald calls her "most difficult and the most demanding role" — Gabriel Byrne, Alex Wolff, Milly Shapiro, and Ann Dowd, Hereditary follows the unsettling story of the Graham family. Bereaving the loss of Ellen, the family matriarch, the story explores their enduring struggle to heal during a time of great suffering. The film's marketing campaign has led many to expect a grief-ridden ghost story once the theater lights dim. 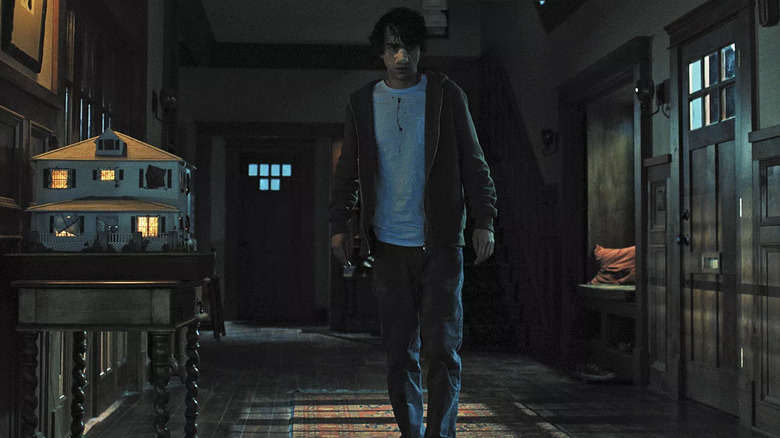 But while there are plenty of common horror tropes explored here, Hereditary pulls back the curtain on an unexpected paranormal component that reveals itself as the driving factor behind all of the film's unfortunate traumas. This all culminates in the final 15 minutes, leaving many viewers stunned, and many more asking questions. What the heck happened? 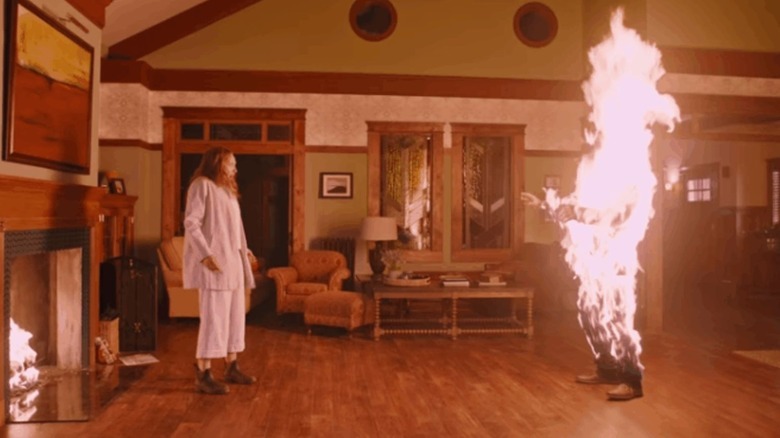 Here's the ending of Hereditary explained. 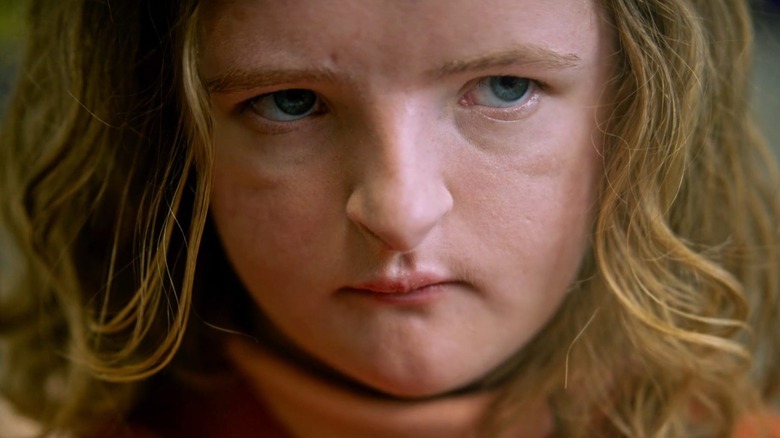 On its surface, Hereditary is a story about one family's tragic loss and even more upsetting tragic history. Beginning with the passing the family's matriarch, Annie (Collette) is shown to bear all of the burden of her horrible mother's life. After delivering a eulogy at the funeral, she arrives home and asks her husband Steve (Byrne) if it is wrong to not be sad. It's a small moment but one that informs a deeper conflict Annie has been fighting for a long time. Through her art, she finds solace. In fact, Annie has turned an unusual hobby of creating miniature scenes reenacting real life events into a career. As she prepares for her next gallery show, we see tiny figurines signifying herself, her children, her dead mother. Minimizing her trauma and grief helps to a point. But as she heads out to a secret support group, the audience is given a better understanding of the baggage she's carrying with her. Her estranged mother has died. But before that, her father starved himself to death. And let's not forget her schizophrenic brother who was driven to hang himself. As talented as she is at minimizing these big life events, it's clear that her bottled up grief points to a strong sense of shame. Keeping everyone at an arm's length, including her husband and kids, this shame connects directly to her own damaged lineage. It's all connected and a precursor of the Graham family's inevitable collapse. Motherhood is a theme that carries the film to term all the way to its disturbing ending. The death of Annie's mother informs the burden she bears, and makes her conflicted sense of familial responsibility quite clear. In her eulogy, in her stories, and in her recollections, the negative nature in which Annie views her late mother begins to reflect directly on Annie herself. As much as she tries to distance herself, it's impossible to deny her mother's impact on her own psyche. Hereditary is about a family's loss. But it's also about a lost family. As Annie confides in new friend Joan (Dowd), we learn that she used to sleepwalk. Annie recounts a horrendous moment, waking up to find her children doused in paint thinner with a lit match in her hand. In passing, Annie explains that she fought tooth and nail to keep her son Peter (Wolff) out of her mother's grasp, giving her younger daughter Charlie (Shapiro) over for grandmother to raise instead. There's a tragic theme of inheritance here. It's called Hereditary for a reason. By all accounts, Annie's childhood was not a happy one. Handing down this trauma to her children plagues her to the point of attempting to set them all ablaze — creating a permanent effigy of her crumbling family before they're lost forever. 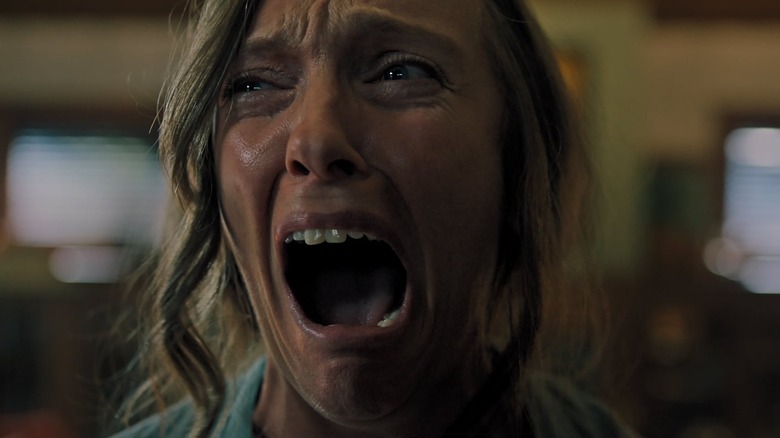 There are many moments throughout Hereditary where it's hard not to look at what Annie is going through and think about Wendy Torrance's (Shelley Duvall) struggles in The Shining. But while Wendy's deadly conflict was with her husband, the majority of Annie's issues present themselves as internal. It's a common trope found in horror films — that of the wife or girlfriend driven mad by haunting circumstances. In 1997's The Devil's Advocate, Mary Ann Lomax (Charlize Theron) was slowly driven to her death. And through it all, an insanity plot device was used to discount the character's credibility until it was too late. In Hereditary, though, the theme of mental illness is a strong one. We mentioned inheritance earlier. Throughout the film, the concept of trauma, grief, and mental illness seem to be doing a coy little dance around poor Annie. Placing mental illness in a singular box pointing to family as the source of blame feels like a weak move, and it's one that the movie does its best to side-step. Instead, Annie's unfortunate family history — her controlling mother, her starved father, her schizophrenic suicidal brother — points to an even darker reality. And while her husband Steve does his best to provide as much support through this difficult time, he begins to believe it's all in Annie's head. While it's clear that Annie's faculties are being put to the test, in the end, mental illness reveals itself as a huge red herring. As previously mentioned, Annie spends a lot of her time locked away in her studio creating miniatures. Her trauma comes to life in the scenes she creates. It's a unique narrative component, to be sure. 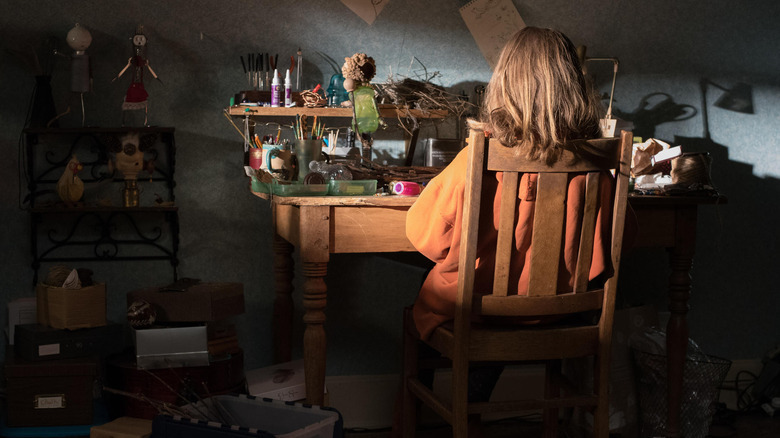 Not only does the act of minimizing her grief into these lifeless figurines show just how disconnected from life Annie has become, it gives the audience the perspective of this damaged family from afar. In fact, the majority of the film takes place in the Graham's secluded house and as the events unfold, the camera pulls back far enough to present each character as if they were mere pawns helpless to a bigger scheme. "We are with the family in their ignorance of what's happening, but then there's supposed to be this more sadistic, knowing perspective that you feel," Aster explained in a Q&A via Inverse. That sadistic, knowing perspective makes itself more apparent through the artwork of both Annie and her daughter Charlie. While Annie's figurines exist in a creepy stillness, Charlie's odd drawings and twisted collection of tchotchkes — her tin dolls begin to take on an organic component after a bird incident drives the girl to take its head home with her — add a new layer to the film's recurring theme of inheritance. They foreshadow the violence to come. When we're introduced to Peter, he appears as your typical teenage slacker. With the weight of the family's collective grief and the unspoken ill-will he received from his mother, a pattern of self blame takes root. It only magnifies once a horrific accident ends in Charlie's death. After Annie forces him to take his sister to a party, a slice of nutty chocolate cake sends Charlie into anaphylactic shock. On his drive to the hospital, she hangs her head out the window for air. And gets it lobbed off by a telephone pole. "I know that I, as a spectator, am always hoping for that from a movie," Aster tells Vulture. "For that moment that tells me that I am no longer in control of this experience and I am in a filmmaker's hands, because I know that I personally am very tired of going to films and knowing how they're going to go and then having that feeling validated." As one would expect, Charlie's death catapults the family deeper into despair. Peter holds himself responsible. Annie holds herself responsible. And all the while, Steve tries to keep his family from falling apart completely. Later, Annie goes so far to admit she never wanted Peter, suggesting she did everything to invoke a miscarriage that never came. This disconnect between mother and son reveals itself as an integral piece to the movie's finale. And so does Annie's burgeoning relationship with her jovial support group friend, Joan. Annie wasn't long for those grief support groups. But in her move to avoid the company of other similarly sad folks, she makes an unlikely connection with a woman named Joan. The glue that binds them is loss. Annie's mother and daughter are dead. Joan's grandson drowned. In this shared misery, a friendship blossoms. But much like her support groups, Annie keeps this friendship a secret from her family. 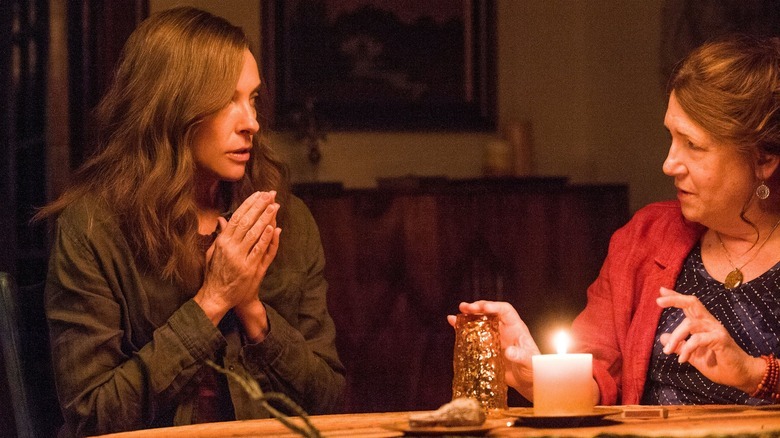 It's not long after their first meeting that Joan reveals an unbelievable breakthrough to Annie: through a seance, she was able to communicate with her deceased grandson. It doesn't take much coercion to get Annie back to Joan's place, where a little incantation sparks a supernatural interlude. As she watches a loving message appear to Joan on a mini chalkboard, Annie becomes sold on this method of communication and goes home to try it herself. In the middle of the night, Annie forces Steve and Peter to take part in the odd ritual. And similar to the events that transpired at Joan's place, an otherworldly presence makes its presence known. Lo and behold, the ghost of Charlie has seemingly come out to say hi! It's this moment of contact that shakes Peter to his core. Annie believes she summoned the ghost of her little girl, but as we begin to learn, a different entity entirely was just welcomed into the house. Decapitation is another theme in the film. The reason for this recurring motif feels as if Aster is leaving things up to interpretation. But as Annie begins to learn of Ellen's secret life, this ongoing trend of headlessness points to a sinister truth: Ellen and Joan were sisters in a cult of witches. It's another horror trope we've seen before, but this reveal leads to an unexpected, visceral climax. Annie begins to lose it, tearing apart her studio, only to find herself in the attic where, amid a swarm of flies, she finds her mother's blackened decapitated body. Above the body, she finds a familiar symbol painted on the wall — it's one she saw on Joan's necklace, it's there on the telephone pole where Charlie died, and it's on her mother's secret photo book. This is where she discovers the very real mythology of Paimon, a demon who Thrillist identifies as "a great king, one of Lucifer's most obedient devotees, and a master of art and science." Throughout the film, Annie and Steve spot odd words scrawled on the walls of the house: "Satony," "Zazas," and "Liftoach Pandemonium." According to ScreenRant, these words are "all commonly used in spells and incantations to conjure demons." Annie's discovery happens as Peter's school-life becomes unhinged. We see Joan shouting odd incantations at the boy from across the street. Peter quickly finds himself stalked by something sinister. He's driven to hallucinations in class, smashing his face into his desk repeatedly. Just for a second, the entity got in. Through it all, Steve struggles to keep his family together while being Annie's rock. But as the events unfold, even he reaches his breaking point. The dead body Annie finds in the attic is still there when he got home. But instead of believing Annie's concern that Peter is being targeted by Joan and her mother's secret cult, he comes to the conclusion that his wife desecrated Ellen's grave. Earlier, Annie attempted to burn Charlie's sketch book — believing that the entity in the house was tethered to the child's personal item. Instead, as the book caught fire, so did her arm. It turns out the item wasn't linked to Charlie … it was linked to her. The men in the Graham family had already made a habit of dying tragic deaths. But in her attempt to get Steve to toss the book in the fire, with the intention of saving their son, the inevitable confrontation between husband and wife finally happens. In his mind, she was sick, like her brother before her. Their marriage was finally falling apart. In his claims that this was her mental illness talking, Annie grabs the book and tosses it in the fireplace. Steve immediately bursts into flames. She may not have been holding the match, but the last thing tethering Annie to the real world was burning alive. For all intents and purposes, Ellen and Joan's witch cult's mission was coming to life. Throughout Hereditary's two hour and seven minute run, hints hide in plain sight pointing to the real story playing out: the scrawled incantations, Paimon's symbol, the odd cult members at Ellen's funeral. 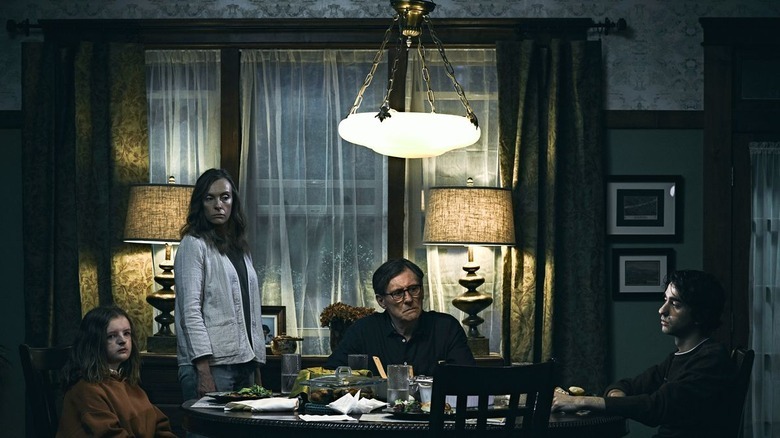 As much as this was an exploration of how familial trauma can infect multiple generations, the climax revealed that, underneath it all, Hereditary is also a horror movie about demons and witches. Soon after Peter finds the body of his dead father, naked cult members begin to appear. Now fully possessed by the King of Hell, Annie hunts her son throughout the house. The horrific chase culminates back in the attic where Peter watches his mother, suspended in mid-air, slicing through her neck with a wire until her head detaches and drops to the floor. Thrown from the attic window, Peter's lifeless body finally is possessed by Paimon. It's in this moment that we realize, this was the endgame all along. Why was Annie driven to induce a miscarriage, only to keep Peter out of her mother's grasp? On a subconscious level, it seems she may have known all along that a demonic plan was at hand. It's what drove her dad to starve himself to death. And it's the reality that led to her brother's suicide. Long story short, this cult's insidious plan has been in the works for some time. 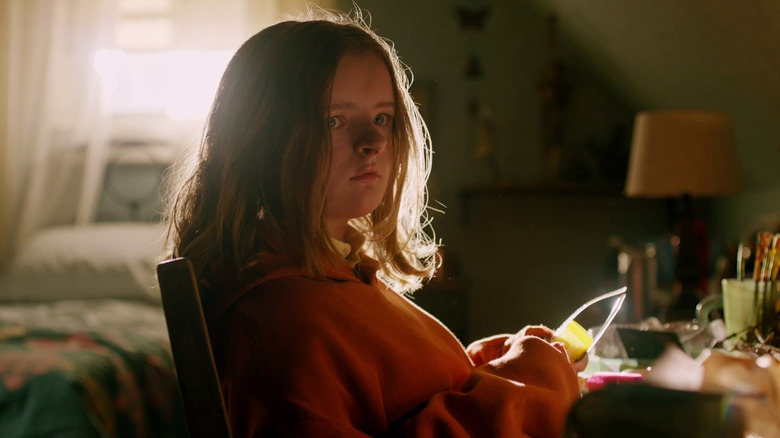 Aster explained to Variety that Hereditary is simply "a story about a long-lived possession ritual told from the perspective of the sacrificial lamb." As Paimon settles into Peter's body, we watch as the boy climbs the steps to the treehouse — the place where Charlie and Annie previously sought restful asylum in the wee hours of the morning. It's here that Peter faces his headless family members, bowing before him, as the voice of Joan addresses the newly crowned King of Hell. She references his previous female vessels as a mistake corrected. It's in this scene that we learn that Charlie, throughout her 13 years on the planet, was possessed by Paimon the entire time. Ultimately, her vessel was unsatisfactory. Earlier in the film, she admits to Annie that her grandmother always wanted her to be a boy. This was why. With Paimon now in a "healthy male body," it's hard not to think about the disturbing pattern of tragic male deaths in the Graham family. Were Annie's father and brother mentally ill? Probably not. It seems that they were driven to their deaths by Ellen's sinister manipulations. More importantly, is Hereditary's climax an allegory on gender politics within our societal patriarchy? A female body was never supposed to be a part of this Paimon ritual. After multiple generations suffered at the whims of this cult, Peter finally steps into his rightful role as The King of Pain. With his crowning, the movie ends on a hard truth: Peter is in this position of power and privilege for no other reason than the uncontrollable circumstance that he was born a boy.